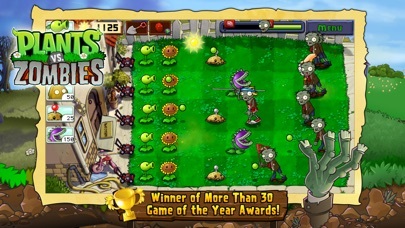 I LOVE Plants vs Zombies so much!!!! I’m the biggest fan and I love what you did to the game!!! This is just one problem, can you fix the shop? When I tap something and brings up the menu to buy it or not, it says “No Mallets” instead of “Buy this item?”. Fix this soon but I LLLLLLOOOOOVVVVVEEEEE this game. 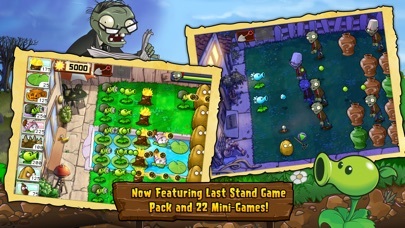 I hope Plants vs. Zombies 3 is a great game when you release it 😉😉😉😉😉😉😉😉😉😉😉😉😉😉😉😉😉😉😉. 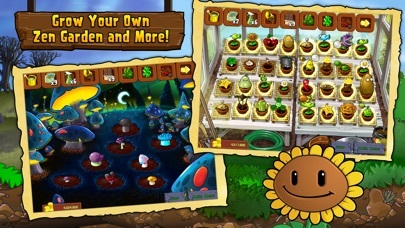 Have a Nice day and Happy Planting!!! I used to love this game, but this happened. 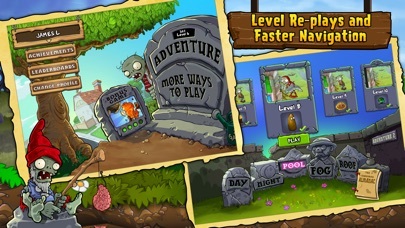 I was playing the adventure over again because i already finished it and i logged out. When i went back on the game, all my progress reset. This has happened to me multiple times. Please fix it. I love this game and don't want to get eid of it. And is their anyway i can get my progress back? THANKS! 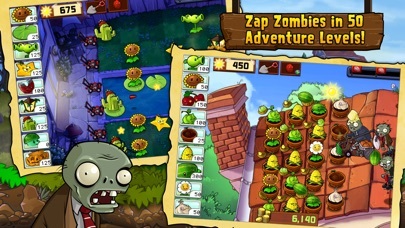 Do you think you can recreate Plants Vs Zombies Garden Warfare? It may take TONS of work, but sell it for 2.99 or 3.99 and you’ll be getting LOTS of money, just a suggestion, you don’t have to make it I’m just saying. It would be a great idea and makes you a lot of profits.